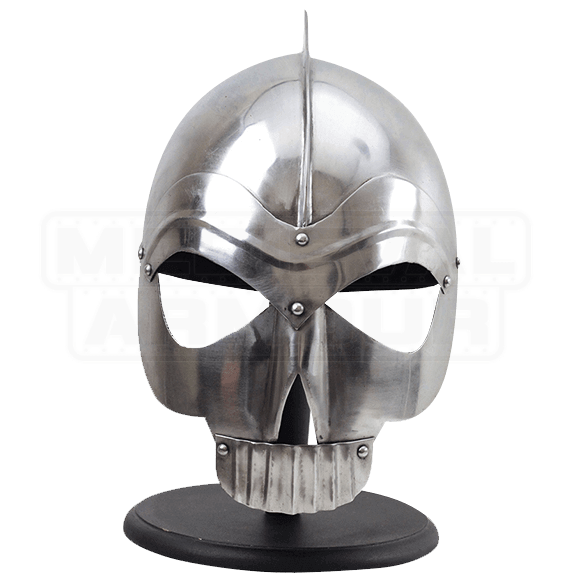 Handmade from 18-gauge steel, this Skull Helmet with Teeth with strike fear into the heart of your enemies. Covering the entire face and offering great protection, the front guard is designed to look like a sinister skull face. The wearer of this helmet is sure to intimidate others in combat, especially when they see the slight ridge leading up to a fin on the top of the helmet. This mask is a very unique interpretation of medieval armour. As a bonus, this helmet features a leather inner lining that ensures the helmet has a comfortable fit. 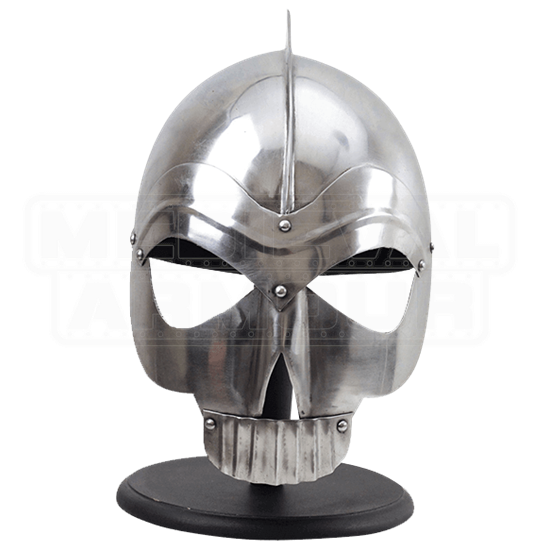 This helmet looks great as a display piece, but it would be even sweeter to get a reaction from wearing it at your next medieval event!